…….. this isn’t really the atheist’s problem—this is a problem that the Jews and the Christians need to deal with. For the atheist, the problem is not with God, for he/she/it doesn’t actually exist, but with the people who claim to believe in God. Their criticism is fundamentally toward religious people justifying their immoral behaviours in the name of an imaginary divine being. However, for the Christian who believes that God is real, that he has revealed himself to people, and that he is involved in human history—there are real issues to consider when it comes to trusting that God is morally pure. I couldn’t agree more, and I believe Christians need to tackle this issue head on if we hope to reach out to the lost in the postmodern, western world. In our 21st century western culture, the Christian church is being increasingly marginalised through a progressively dominant, humanist moral compass. Although there have been many books written on the nature of God, from His Word we learn that God is love (1 John 4:8,16). This Truth has been a guiding light for many followers of Jesus in our Christian walk, but the issue of the morality of God, as revealed in The Bible, has so perplexed me, I’ve spent the last 40 years thinking it through. Eventually, in an attempt to address criticisms from people like Richard Dawkins, I felt moved to write a book. These antagonists do not know our God and Father, who has revealed Himself as Love, and I believe Christians need to step up and really examine God’s revelation of His own plans and purposes in allowing universal suffering to exist and endure. I have called my book The Bible’s Bookends, because Genesis and Revelation shape our understanding of the nature and character of our Father. These two books of The Bible deal with the perennial question – “Where did we come from and where are we going after we die?” If we get Genesis and Revelation wrong, then we present the Father as a God who is not at all like the loving Father of the prodigal son (Luke 15:11-32). When I consider the way many believers present the God of The Bible I can truly understand the accusations of Richard Dawkins and other vocal atheists. And I sincerely believe both the atheists, and some believers, are slandering our Father unnecessarily. 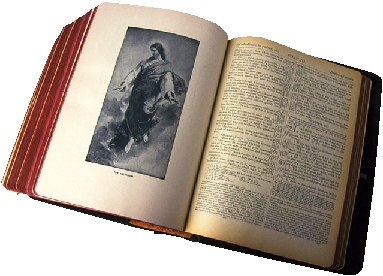 The Bible is an enormous document to come to terms with, but until I had a sense of, what my friend calls “the overall shape of The Bible,” I simply listened to what other people had to say and compared their ideas to scripture. When I eventually came to what I believe is a basic biblical understanding of the issues involved in understanding the nature and morality of God, I was amazed that I had never really heard it preached from the pulpit. If we believe death was part of God’s original creation process, then it is difficult to understand the Creator God as an omnipotent but loving Father. 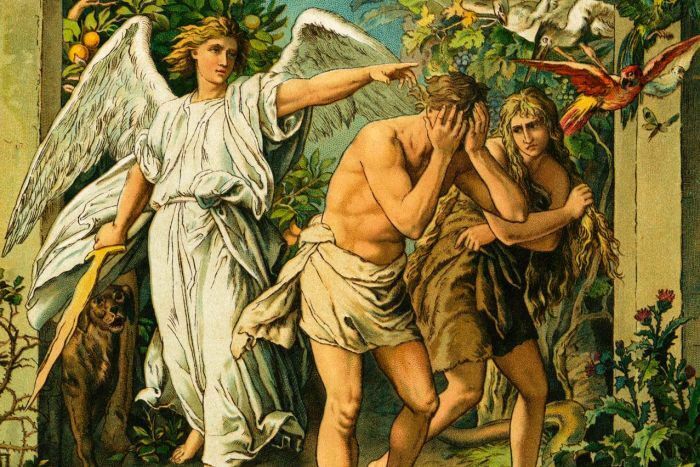 However, a plain reading of The Bible reveals death, pain and suffering entered God’s perfect creation as a result of sin, when Adam and Eve exercised their free will, believed Satan’s lie that they would not die (Genesis 3:4) and rejected God’s clear guidance (Genesis 2: 16,17). With this understanding, it is easier to see how much the Father grieves over His creation, which is now groaning with sin, pain, suffering and death. He is so grieved He has revealed in His Word that He will eventually destroy this present universe and all that is not saved from eternal destruction by the blood of the Lord Christ Jesus. He will then create a new Heaven and a new Earth where sin, pain, suffering and death will be no more (Rev 21:1-4). 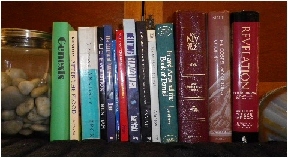 At first, the commands of God to destroy all the Canaanites in the books of Deuteronomy and Joshua bothered me greatly, but then I realised they were obviously once-only commands for a very specific purpose – to prepare a nation into which the Messiah would be born and raised to carry out His mission of deliverance from the final, ultimate destruction awaiting this world. The Flood and the other OT commands to remove evil (Sodom and Gomorrah etc.) were necessary to ensure God could be born into a nation with some depth of understanding of His holiness. Even then only a handful recognised their Messiah and went on to become part of the Body of Christ, through which the Holy Spirit would build His church. There is absolutely no mandate under the new covenant Jesus introduced for such genocidal actions to be perpetrated by these new believers. The Messiah has come! The new commandment He brought was to love even our enemies (Mat 5:44). What really bothers me is that many Christians seem to blindly accept and propagate the idea of eternal torment for unbelievers. Most people understand the concept of eternal judgment. From the scriptures we understand that this is not something God will continue to do throughout eternity, this final judgment will take place once for each person, and it will have dire, eternal consequences. Eternal salvation, eternal destruction and eternal punishment are also actions that have eternal consequences. Without eternal salvation and the gift of eternal life from the Messiah, the eternal punishment of Matthew 25:46 will be the eternal destruction mentioned throughout The Bible (Psalm 92:7; 2 Thes 1:9; Rev 17:8). This is the dreadful default position for all who have not accepted the gift of eternal life. When the Father deals evil its final blow, they will indeed perish, as Jesus succinctly explained (John 3:16). In His Word our Father has clearly outlined His program to remake His creation without sin, pain, suffering and death. From the very foundations of this present world (Mat 25:34) God put His rescue plan in place to redeem people who choose to be part of His new, eternal family. The redeemed will not be destroyed with the old creation, they will have eternal life and be free from the curse of death brought into the world through Adam and Eve’s sin. God did not lie – we will all die because of that sin unless we accept the gift of eternal life from the only One who can make this offer. This is the big picture The Bible presents. I can only hope there are more discussions in the Body of Christ on this vital topic. If we get Genesis and Revelation right, we can be prepared with answers for many of the difficult questions our non-Christian friends present us with (1 Peter 3:15), even though there are some questions that are more difficult than others and some that we really can’t answer (1 Cor 8:2). My book, which I have chosen to publish here on WordPress, is an attempt at addressing the issue of the morality of God with scriptural support, sound reasoning and evidence-based science. Our Father truly is a loving Father, who has prepared a place for us to live without sin, pain, suffering or death (John 14:1-3). He was born onto the planet He created to take upon Himself the death we deserve. He has also revealed that it is only through His gift of eternal life that we can be part of His eternal kingdom. He offers this gift to everyone, everywhere, throughout all of human history, because He loves us so much. To understand the morality of God we must understand The Bible’s bookends and God’s big picture.